There was a pile of typewriters still sitting on my workshop bench from Sunday's Type-In, most needing to be stored away but several needing to be looked at: both Smith-Corona 5 series machines, especially the Silent-Super, purchased late last year from what I've described previously as a "hippie." Both machines performed fine during the Type-In, but since I'd last attempted to service them, I've acquired the Smith-Corona Floating Shift Typewriter Repair Bible, published by Rev. Ted Munk. I figure this would make for a good opportunity to revisit the somewhat intermittent escapement issues with that machine, and see what effect a good service manual would have upon my tinkering experience; while also serving somewhat as a mini-review of the book itself. The book is divided into various sections, from the earliest Floating Shift models up to the Series 5. It did take a bit of flipping around to find where the sections begin and end, as they don't have clearly marked dividers; I plan on installing some tabs to the pages for that purpose. Once I found the Series 5 adjustment section I started at the space bar alignment procedure and worked my way through the escapement to the touch adjustments, using as my test subject the somewhat troublesome Silent-Super mentioned previously. It has been performing much better than when I'd first acquired it, due to the "service" I'd performed previously, but I didn't know exactly what I did to make it better. Now with the service manual, hopefully I'd find out, along with any further improvements to be had. The space bar itself was well-centered in the frame of the machine, with no hanging up or rubbing, but the trip point of the space bar linkage upon the escapement was a bit too close to where the space bar stops at its rubber bumpers; the adjustment was to reform (bend) a linkage arm, to permit the escapement to trip earlier. Next was checking the escapement pivot arm for freedom. You lock the carriage in the stored position, which also disables the rack gear from the escapement, then disconnect the spring on the pivot arm. It should freely pivot with no binding. I found it necessary to loosen the pivot points a bit, made with a precision open-end wrench and small screw driver; I'm still needing to acquire some gun-smith drivers for this purpose (or, more ideally, a legacy set of typewriter tools - as rare as hen's teeth). Now that the pivot arm was moving freely, I reconnected the spring. Next was checking the freedom of rotation of the escapement star wheel itself, which is again checked with the carriage locked and the pivot arm manually moved out of the way. Here too I found it necessary to loosen the star wheel shaft nut a bit, to provide freer rotation. Next was to check when the escapement is tripped as letters are typed. This is done by slowly moving a type bar toward the platen and noting at what position the type slug is relative to the type guide when the escapement trips. It should trip when the slugs are adjacent to the tip ends of the type guide. I found it necessary to reform a linkage to adjust the trip point. The rest of the escapement-related checks were in good order, which encouraged me. 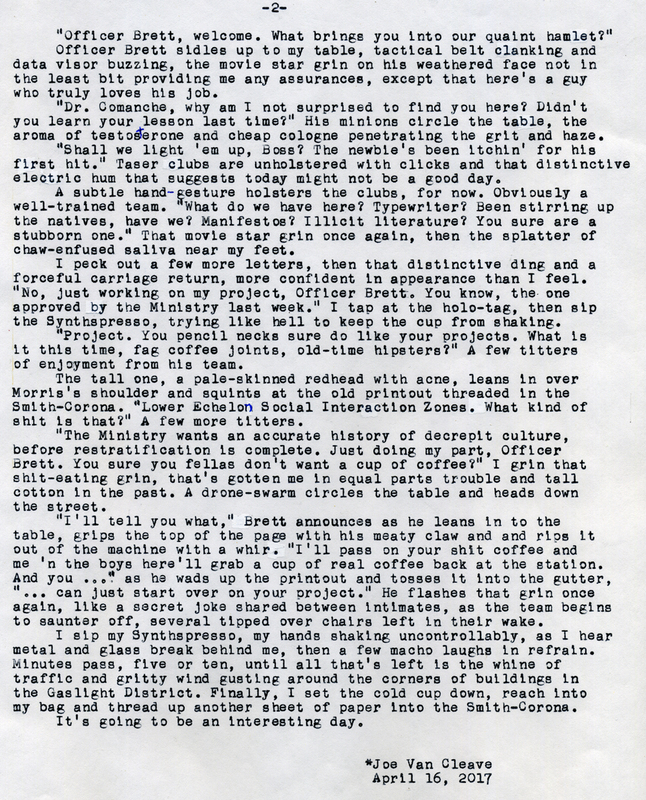 Subsequent testing on several sheets of paper with random nonsense typing showed marked improvement, with virtually no skipping or piling up of letters. But I did see another section in the adjustment manual about the touch selector, so decided to take a look and see if any improvements could be had there. It turned out that there was some unevenness of touch tension between the left and right sides of the keyboard, which was easily adjusted via the two screws on the touch spring lock bar. Once they were balanced from left-to-right, I then loosened both evenly about a quarter turn, making the overall touch of the machine a bit lighter, something I like in good portable machines. None of these adjustments could have been made without the service manual, and the nagging escapement issues this machine had been experiencing I feel are resolved. There was not just one adjustment that fixed the problem, but a whole series of adjustments. The manual proved absolutely invaluable. Once emboldened by my success thus far, I proceeded to the much trickier task of realigning the type slugs for even imprinting. This took me far longer than I'd anticipated, mainly because I lack the special tools designed for precision bending of the type bars. But I can say that, finally, the type imprint is much better aligned vertically, while the upper case imprints are clearer than before. I found that subtle misalignments would still deliver good lower case imprint, but with the type slug hitting one side of the type guide slot it would cause a smearing of the upper case imprint. I feel this machine is finally in a condition where I'd be comfortable with anyone using it. 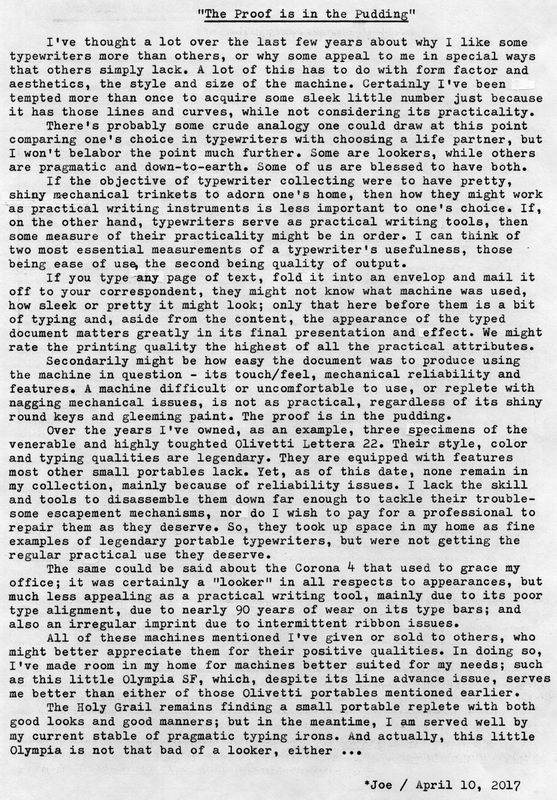 And credit is entirely due to Ted Munk for making these resources available to the layperson typewriter community. After servicing the Silent-Super, I proceeded to tackle the much less troublesome Silent version, and I didn't find too many issues to speak of, other than the escapement trip point was a bit too far toward the type guide, so it had to be backed off a bit; just the opposite of the previous machine. I haven't gone through every area of these typewriters with this book, since I haven't been experiencing other issues. But I can rest assured that, if need be, I have the technical resources to tackle virtually any problem. Another item of interest in the adjustment section was doing custom adjustments to compensate for individual user's typing styles, specifically what they call "Follow -Through, Hang-on Typists" and "Speedy Galloping Typists." Some of these adjustments involve reforming parts, while others involve measuring tolerances of clearance between neighboring parts and, if necessary, machining parts or ordering replacements. Aside from the adjustment section, I found it interesting in the section on model features that various platens were once available for these machines, including extra hard platens intended to be used for stencils or thick sheets of carbons; and also slotted platens of various sizes for typing on smaller cards. It makes me wonder, when I read about someone's super hard platen, that perhaps they have one of those purposely-made extra-hard platens. Any person owning one of these Floating Shift models owes it to themselves to get this manual, because these service adjustments are written with the technician in mind, using down-to-earth language that is rarely found in tech manuals of today's era. I especially love the way that terminology in the text is underlined, then the underline is connected to a call out arrow that points to the exact part in the associated diagram on the same page, making it easy to locate the part being described. Keeping these machines running into the future is going to be much easier with this factory-supplied service literature available to anyone. What we still need, however, is a supply of replacement parts, currently only found from donor machines too far gone to fix. Perhaps some machine shop will rise to the challenge and start fabricating these rare and unique items. But until then, we need to keep these machines in good working order with a bit of tender loving care. Thanks, Reverend Ted! Yesterday I couldn't spell technician; today I are one! 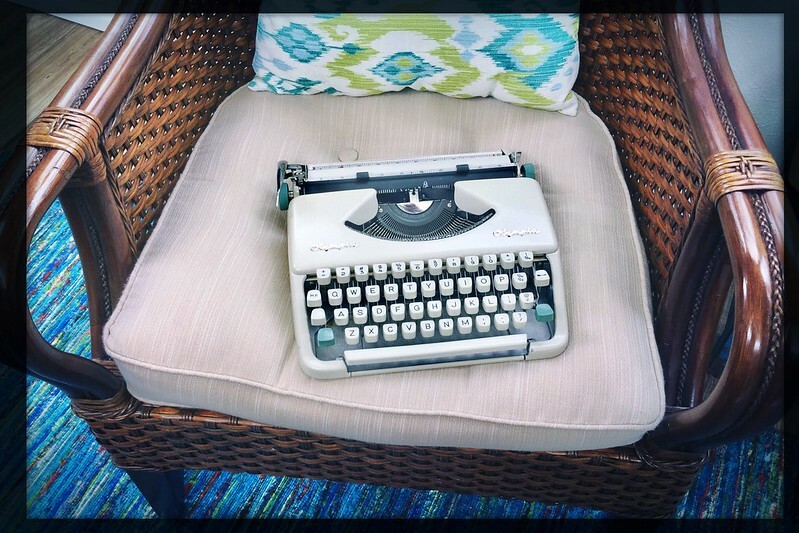 "An Interesting Day in Area 36"
Post-Script: A bit more from the Losers Blend mythos, inspired by the look and feel of this old Smith-Corona Silent sitting in its half-case on my lap in the afternoon shade. Perhaps not entirely compatible with the theme of Easter/Resurrection Sunday, but one has to strike when the iron's hot, creativity-wise. I snapped the top picture on my front patio, hoping it might look something like a coffee shop patio table at the fictional Losers Blend coffee shop, inspired by my local Winning Coffee; but I didn't have true fanfold printout paper, so I had to punch some Circa binding holes in an old Freestyle Photo receipt instead; plus add a bit of sci-fi look to the image in post. Kind of reminds me of the color tone of that old 1970s movie Soylent Green. 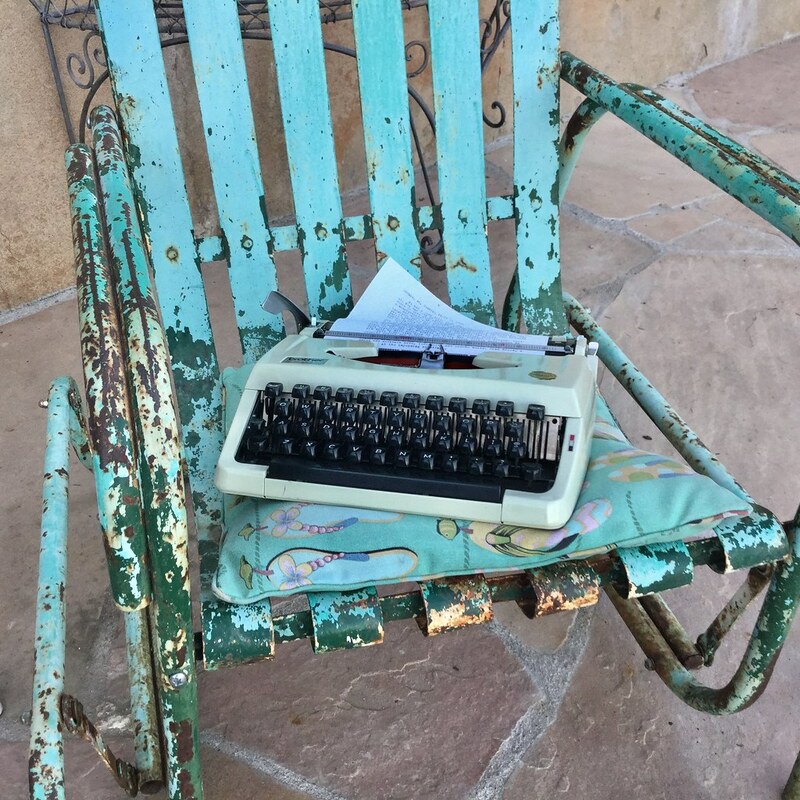 Post-Script: After we arrived back home from last week's vacation to Jerome, Arizona, the first typewriter I used was the lovely Corona Standard. Not only is it a true "looker," but its typing feel is wonderful. It's probably the one machine in my collection that has it all; aside from not being a true ultra-portable. 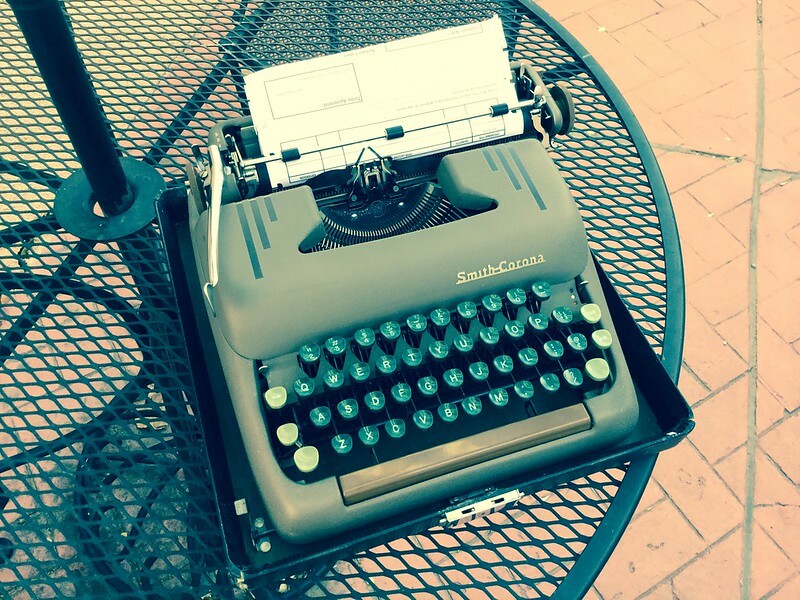 But then I set this Olympia SF on my lap and began some random typing, and really enjoyed its touch, too. Yes, it does have that one little issue with the line advance, but my temporary solution of back-rolling the platen one click after a conventional carriage return seems to make it a practical writing tool. Comparing the Olympia with the Brother Charger 11 taken on the Jerome trip, I'd say the Olympia has a more solid feel, though weighs more, but also makes a nicer imprint. And its clam shell lid latch components are made from metal, so they should be more reliable than what I've experienced with the Brother. I know some people criticize these Brother portables, but aside from the broken lid latch, I've found them to be rather reliable. But the Olympia is a more solid machine; and you could argue perhaps has better aesthetics going for it, too. 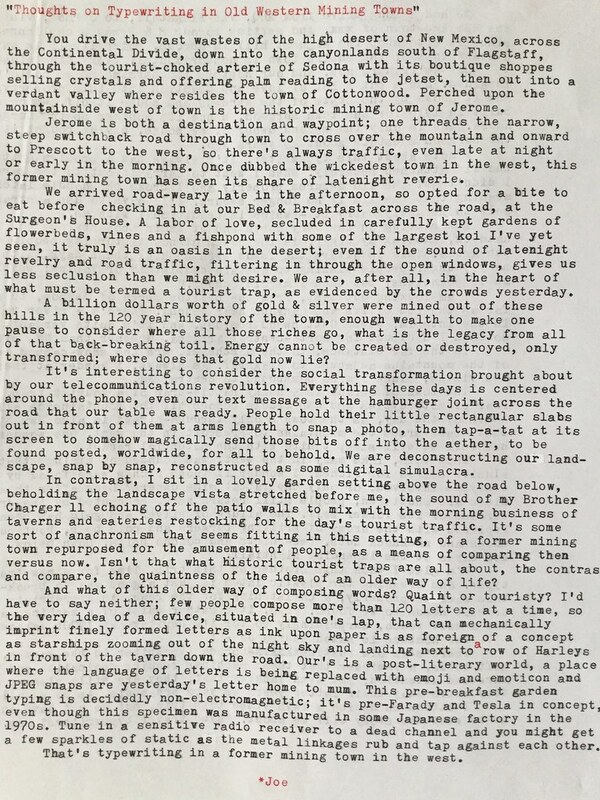 It's interesting that in all my travels with typewriters I've only ever taken with me an ultra-portable typer. Yet room in one's vehicle shouldn't limit oneself to just those diminutive models, since there's plenty of space in the back seat for at least a medium-sized portable. The real issue is how easy the machine is to lug from car to hotel room, or in the case of last week's trip, from our room to the garden for some private typing. The Brother was a good choice in that respect, as it is light in weight; but I can very much see myself on a future trip taking a medium-sized portable like one of my Smith-Corona Silents. The fancy Corona Standard I think will stay safely at home for the time being. She holds court this morning, like she does every morning now for over 25 years, the Queen Bee in her hive of a kitchen, every tool and implement at hand, mixing bowl readied, concoctions being poured and blended, things baking in the oven. The sunlight streams in from across the vista separating there from here, as if one could fathom the tremendous distances involved. We, her guests, carefully descend the creaking staircase from our nests of Victorian rest to warm our gullets with coffee or tea, while outside a cool wind blows from last night's storm as a hummingbird mother perches in her golf ball-sized nest warming her eggs against the onslaught; nurture or nature? Perhaps that's not even the relevant question. What is it that makes our hostess Andrea invite us to become, if but for a night or two, one of her brood? It would be too simplistic to declare mere commerce as the primary motivation; even though, out on that tree limb those chicklets, once hatched, will require to be fed every fifteen minutes. Are we that needy, too? The Surgeon's House was intended, when built in the years of the Great War, as a place of healing, of wellness; the home of the one who brings solace in a time of great need. 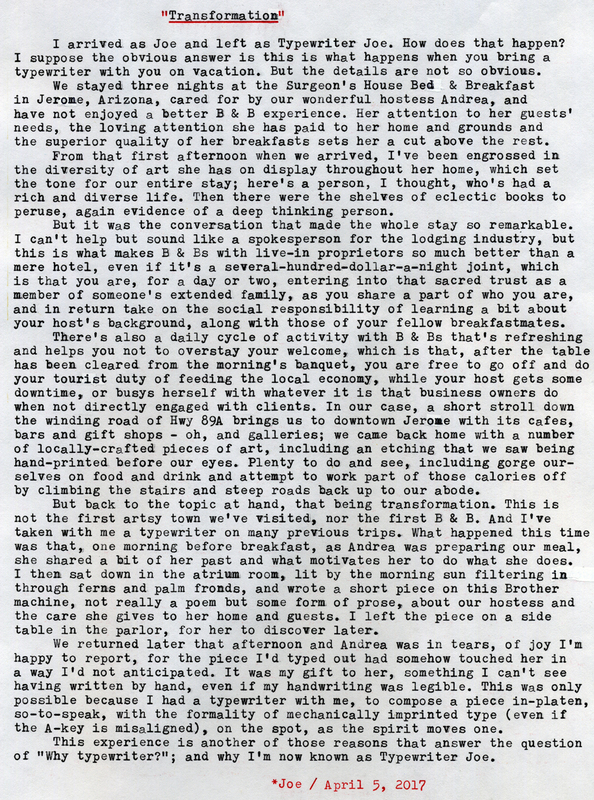 There are times in every person's life when a helping hand is needed, even though they might not realize their plight; perhaps that is why we secretly come to these places - not just for a bed and board, for we could find some simulacra in any Inn for sojourners - but that we secretly long to be nurtured back to some inner wellness. Here, as she holds court in her kitchen, we find a gentle touch here and an insightful word spoken there, a sparkle in her eye and wholeness for our being in the gratitude of the meal served before us. 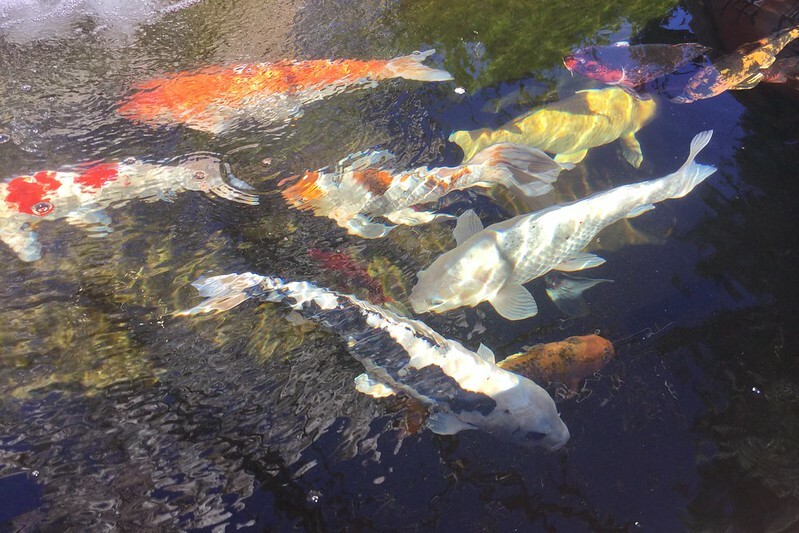 We lounge amidst a life's gathering of living leafy beings while books and paintings feed and nourish our souls. Outside, the roar of Harleys and pickups, headed to nowhere, is but a gentle reminder that, if but for a night or two, we are home. The broken latch on the Brother typewriter case I remedied by the application of a $5 tourist-quality leather belt, purchased at a local gift shop. Where there's a will, there's a way. We found a neat antique store in Jerome, and I immediately spotted a mid-20th century typewriter sitting on the floor in its case. 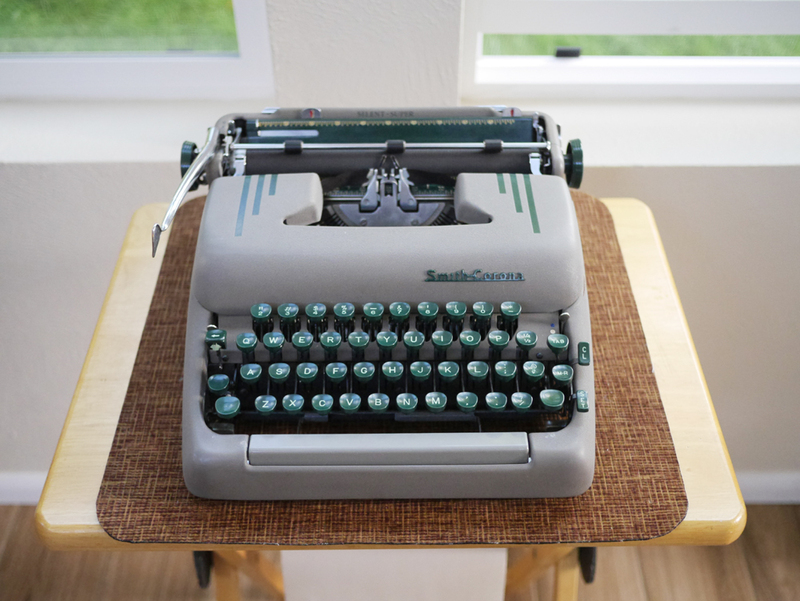 It turned out to be a Smith-Corona Silent, an exact mate to one already in my collection. It was a bit dirty and in need of some service. The platen was very hard, and it has pica-sized font. They were asking $28, which is a pretty good price for a tourist town antique store, as I've seen some sellers asking twice that back here in Albuquerque. I almost picked it up, but passed on it, as I already have one in my possession. And by passing on it, I was able to prove to my better half that, yes, I do have some degree of self-control when it comes to typewriter collecting. Perhaps this gives me more sway when I do find a model I really want in my collection, at some time in the future. Grease the skids, and all that! 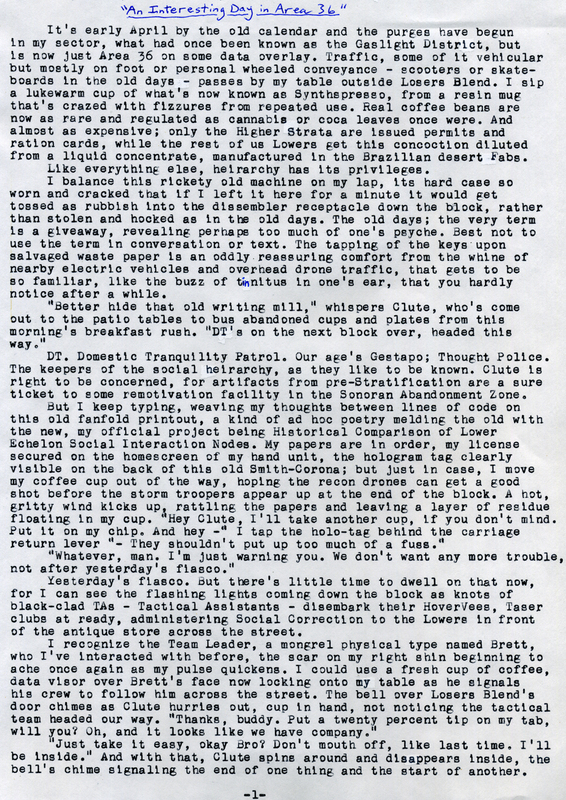 Any of you Arizona Typospherians in need of a Smith-Corona Silent might want to make the trek up to Jerome this weekend. The antique store is just across the street and up hill from the post office. This typecast was written while seated in the passenger seat of our Subaru, somewhere on Interstate 40 between Flagstaff and the NM border. It proved to be a good way to while away the many miles of open country with something productive. 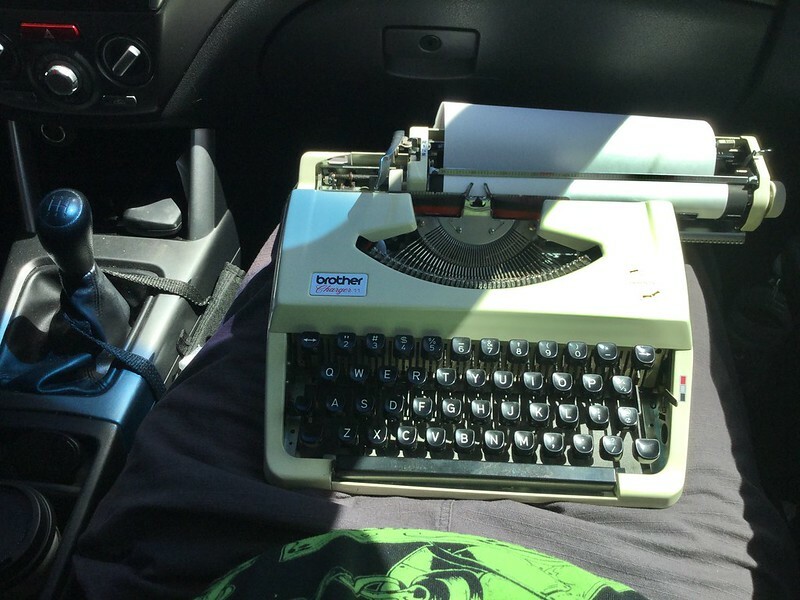 There will most likely be a video coming in the near future about car typing on the road; and also about using typewriters, as I was fortunate to do so, as tools for creative writing. Post-Script: I also hope to upload at least one video while here. This Brother has a bit of letter misalignment of the A and Q keys, but its soft touch and quiet sound makes up for it. This is its inaugural vacation trek as road typing iron. The plastic latch for the case is broken, and so I'll be on the lookout for an old belt or strap to secure it for handle carry, as has been the case with other ultra portables with busted zipper cases.